39ers … are you celebrating your UN-birthday with friends and family in an outdoor party? Look out! Here come the June bugs! 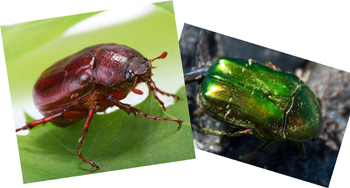 Or is it a potato bug … or a green scarab … or … all three? Choose door number three and you win. It seems the squiggly brown or green beetle can be known as a June bug in many parts of the US but look different and have diverse scientific names. They are, however, all in the family. You may be 39 … again … but if you want to act like a kid again, don’t hold back! 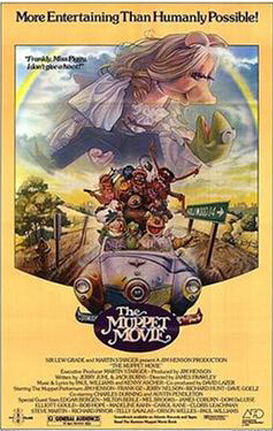 Go to Mickey-D’s for your favorite Happy Meal, rent The Muppet Movie, and never, never, ever, be afraid to fly above the clouds! What am I talking about? Where were you 39 Years Ago this Month?! June: McDonald's introduces the Happy Meal. June 25th: Snoopy aka the courageous World War I Flying Ace in his Sopwith Camel, quaked at flying too high. 39ers never quake. 😊 And we still love Snoopy anyway. Geminis, before the Zodiac moves into mellower Cancer (06/20), close your eyes and channel your inner Twins for a mind-melding moment. It’s good for the soul. Planning your party? Should be a snap for you, as Geminis are known for clever party options. Quick thinkers and inquisitive, there is always a reason to party hearty and they’ll invent festive ways to connect with friends and family. On the 21st Cancer starts kicking sand in your enemies’ eyes, as we find the stalwart Cancer nursing party-goer headaches. The nurturing crustacean simply must protect and serve! It’s in their loyal and loving nature. Though you may be crusty on the outside, to those you allow in, Cancer, you’ll always be a softy. It’s a good bet your parties are a little smaller, but they are always filled with your closest loved ones to help you celebrate.